Give to yourself - When you're building your page during the registration process, you'll be asked if you'd like to make the very first donation. Do it! By doing so, other potential donors not only see you contribution, but it also sets an important precedent. If you give $50 bucks (or even $100), your donors might do the same! Don't be shy - Ask everyone. No one can say "yes" until you ask! Remember the IRS - Remind your potential supporters that their donation is 100% tax-deductible. $50 - ensures that each child and their siblings receives a personalized Mickey Ear Hat and autograph book in their welcome package they receive upon arrival to their hotel room at Disney! Mickey loves seeing his friends wearing his hat! Check this out! $100 - Shiver me timbers! $100 treats a special Bert's Big Adventure boy to a transformation into an official buccaneer! 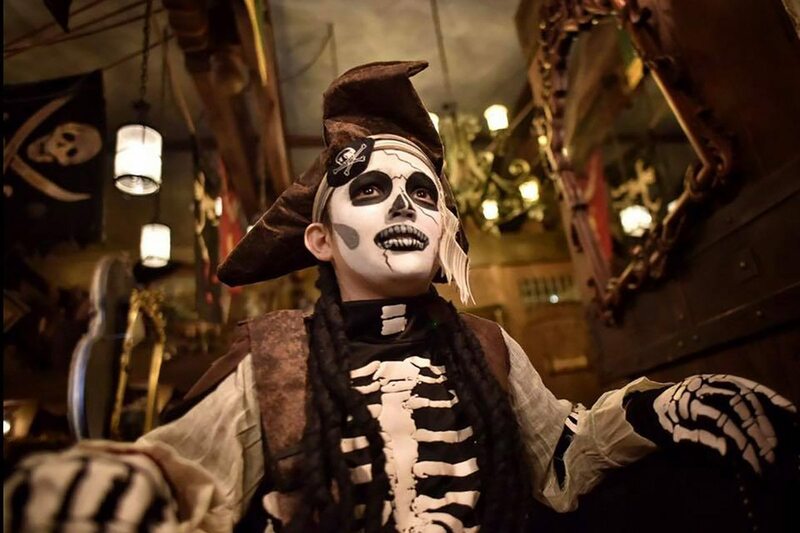 Check out this Pirate Makeover! $150 - will sponsor a Bert's Big Adventure child for a one-day Park Hopper Pass so that they can maximize their time in Walt Disney World and create as many magical moments as they possibly can! Check out this video! 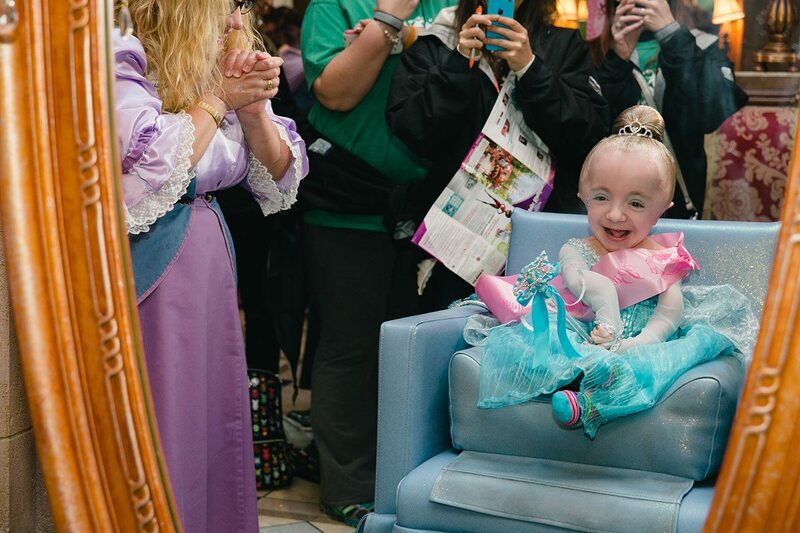 $250 - will provide a special little girl with a magical and royal transformation to their favorite princess! This includes hairstyling, make-up, a princess necklace, a purse, nail polish, a wand, a crown, and most importantly, the princess gown of their choice during their visit to the Bibbidi Bobbidi Boutique in Disney World! You've never seen a princess as beautiful as THIS ONE! $500 - provides a child with a chronic or terminal illness staying at a local hospital with two weeks of warm meals, activities, and visits from a Bert’s Big Adventure volunteer. Click here to see more. You can be a Fairy Godparent, too! Every little bit counts - If someone says they aren't sure they can donate, let them know every little bit counts. Skip two lattes! 25 people donating $10 each still qualifies you for our goodie bag!!! Pay it forward- You will be eligible to win prizes, so why not offer a give-away? Have a race day lottery drawn from your pool of donors and gift them a Santa hat to match the one you'll be wearing! Company match - Remind your supporters that if their company has a "matching donation" program, they should apply and double the good they are doing! Cash (and checks) count - If you collect cash or checks, you can add them to your total on your web page as an "offline donation". Include donors - Invite your supporters to come cheer you on. It's a fun and they'll feel like they're part of the run. Thank them - Send them a thank you card or email with a photo from race day. It makes it easier to ask again next year!